"A popular Trans girl from Cali named Cassandra reached out to MediaTakeOut. She claims that she had relations with Tyga in the past. 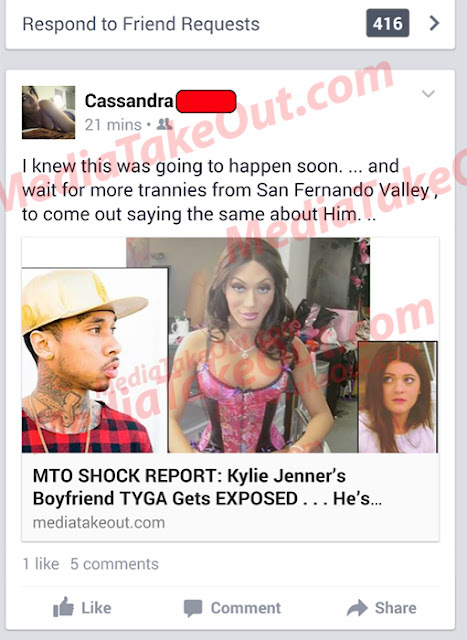 The Tran-girl also claims that there are other transgender from the San Fernando Valley that Tyga paid to be with. According to Cassanda - it wasn't just a one time thing. Tyga actually has a fetish for transgenders"